The boys and girls at Lionhead may have moved on to pastures new, but it appears they’ve left us all with one important message: Whenever dealing with bullies, always threaten to rat them out to their mums. Are you a fan of Fable? Check out the best RPGs on PC here. That’s according to former community director at Lionhead Sam van Tilburgh. Addressing an audience at BAFTA, he revealed just how the UK studio dealt with a group of online trolls who threatened to release damaging screenshots of the original Fable during the game’s development back in 2003. To cut a long story short, the studio fought back by warning the school boy heading up the group that they’d go fully nuclear on him and…prepare yourselves…tell his mum. That’s cold, Lionhead. That’s really cold. Van Tilburgh claims Lionhead’s response was to use the tools in its arsenal to track the young chap who had posted the images down. 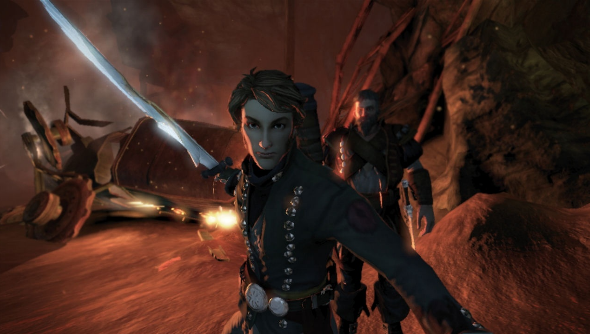 Said images were published via Fable’s own forum, meaning Lionhead had the boy’s IP address. From that, they discovered who the 16 year old was and did a little digging of their own. “We knew where the guy was living and managed to get a hold of the guy’s high school record through a mate, including the poem that he had recited at his end of year [class],” he continued. “We wrote a public message as Lionhead Studios to the group Kibitz and we started the message with the opening lines of the poem he had recited in high school, and we included the landmark he could see from his house where he lived. Interestingly, Van Tilburgh said Lionhead’s legal department was only informed of such tactics well after the event. Those involved were apparently aware it could all have blown up in their faces. Luckily, however, it all worked out well. By my maths, said 16 year old will now be approaching 30 years old. If you’re out there, you little criminal, get in touch. I’d be interested to know if your mum ever found out.